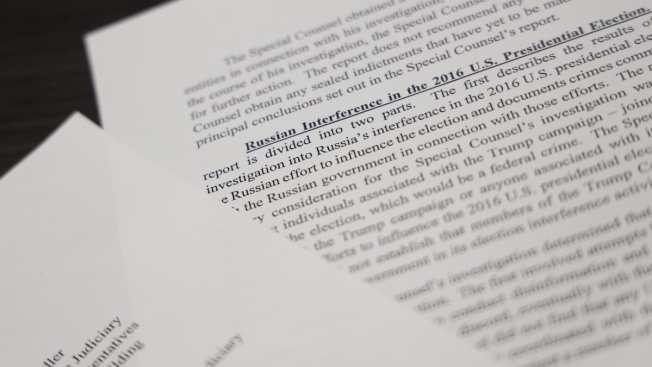 Lawmakers are back in Washington D.C. today, one day after Attorney General William Barr released a summary of the Mueller report. "I am relieved that this has finally come to a close. I am happy for the President that what we suspected all along has finally come out in this report," said U.S. Rep. Lance Gooden (R-Terrell). Gooden said he wants the report to become public. "Absolutely the House voted two weeks ago to make the full report public. Republicans and Democrats agreed with that. We believe the American people deserve that and I think you will find consensus across Washington that 'let's put this report out there. Let’s let the American people read it and let’s move on,'" he added. We also caught up with U.S. Rep. Colin Allred (D-Dallas) in Washington, and asked him his initial reaction to the summary. "My initial reaction is that I want to know more, and I think this is something that the American people need to see. We spent millions of dollars on this. Two years of investigating, you know over 30 indictments, seven guilty pleas. Whatever is in the Mueller report I want to see it and I want the American people to see it," said Allred. Some members of Congress have called for the possibility of Attorney General Barr and Robert Mueller testifying before Congress. "Well we will see. It depends on whether they cooperate with some of our requests because to me this is all about transparency. I want the American people to know what went into this, what didn’t go into it, what was looked into, and what wasn't," Allred added.